The Nico and Lala 2011 Calendar! Just a few candid shots of our newest addition to share. It is beautiful! 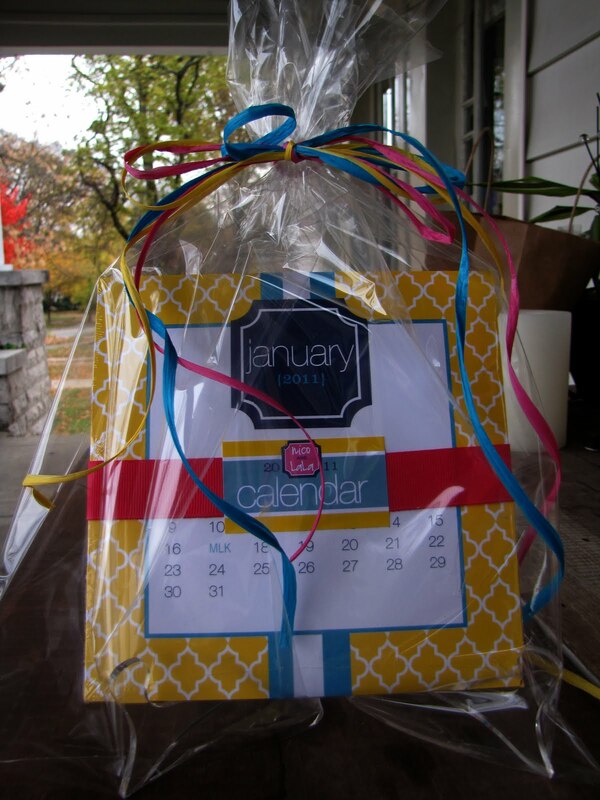 The calendar is $32 and will make the most fabulous gift under the tree...and to be honest, who wouldn't love this sitting out on their desk?! One of our favorite months...such a neat pattern! Turkey cookie place cards! Do you need something swanky to help liven up your Thanksgiving table? Or just the kid's table perhaps? Man, I used to hate sitting at the kid's table! ha! Please email us if you are interested! They are PRECIOUS! And of course delicious! Last night's trunk show was a huge success! We had a wonderful time meeting new customers and chatting with old ones! Just thought we would share a few pics--the store is SO fabulous and has such a vintage and rustic feel...it is AMAZING and we were so thrilled to be a part of it! Our designated Nico and Lala area! We thought we did a pretty good job setting up...if we do say so ourselves. They have the most beautiful windows! Close up of our area! Top right, wine chillers...$40 each and read "Making Spirits Bright"--you can't really tell from the pic because of the cello, but they are so pretty! Bottle of wine + wine chiller = great gift and sure to make anyone's spirits bright! And what makes it even cooler? The reverse is for Thanksgiving! We are all about versatility! This tray is so elegant! And we spotted our lucite line we created exclusively for them! More muted than our normal color schemes...but oh so chic!!! And our super swanky recipe boxes and salt and pepper shakers too! So neat to see everything displayed! Thanks to everyone at Social Graces and Happy Saturday! 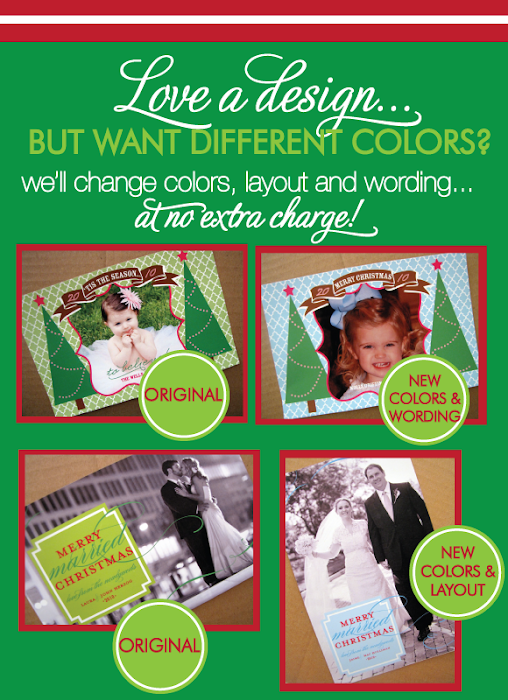 For Christmas gifts and cards! 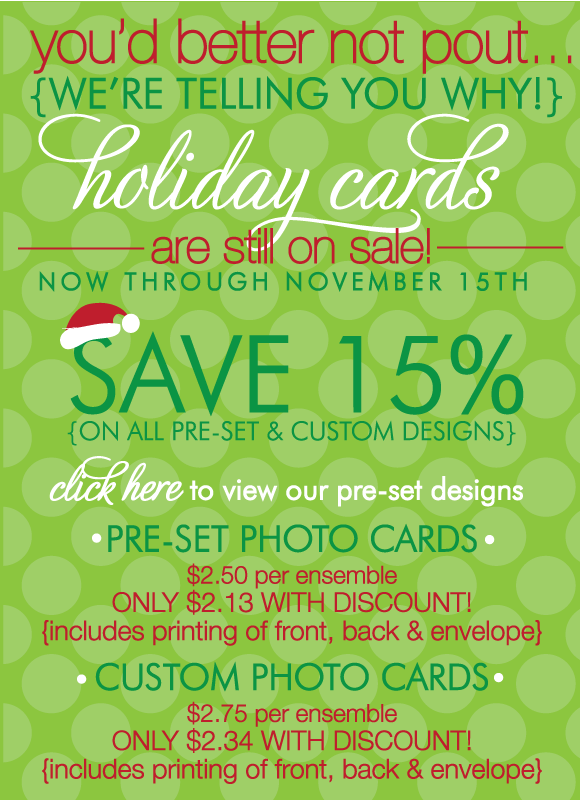 Just a reminder that the Christmas card sale ends in 3 DAYS so make the most of the weekend and get us those pics!!!! Check out these fab custom cards! And then our friend Whitney who lives in New York City, asked for something custom to send to her friends back in the south! Single and fashionable, we thought...WHITNEY IN THE CITY! Precious!!! And a custom Newlywed card..
We have been working like little elves these past few weeks, so please accept our apologies for the lack of blog posts! The good news is we have done some FABULOUS gifts and other holiday treats to share with you all!!! First off we have "Reindeer Food"! Thank you to our customer Kelly who gave us this grand idea! It is just SO adorable and I cannot wait to give these to my nieces! Many of you may be familiar with this, but we had never heard of it! The rhyme reads, "Sprinkle on the lawn at night, the moon will make it sparkle bright. 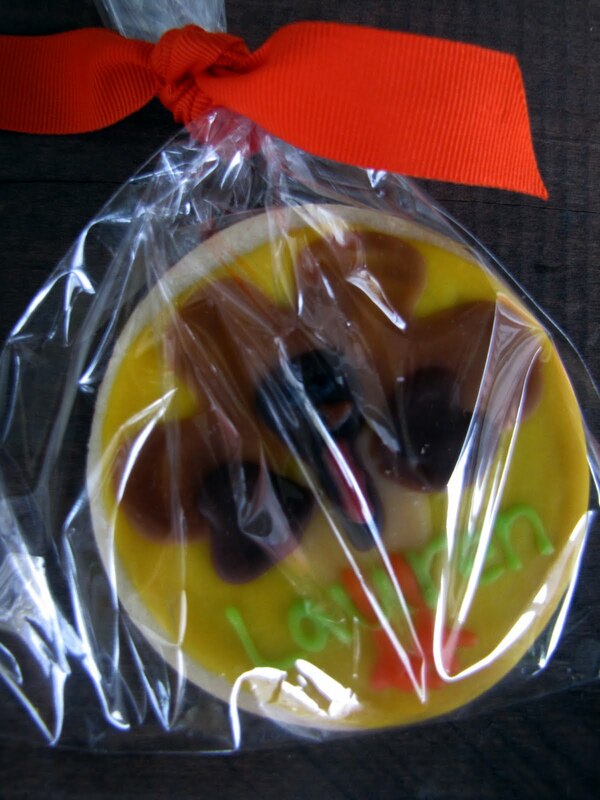 Santa's reindeer fly and roam, this will guide them to your home!" Ummm...ADORABLE. They are $10 each and such a cute happy for the little ones! 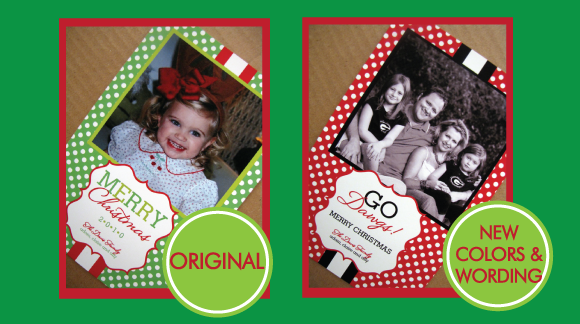 And if you have a family holiday party coming up, what a great idea for each family! Next we have the reversible lucite tray, with a splash of Christmas! 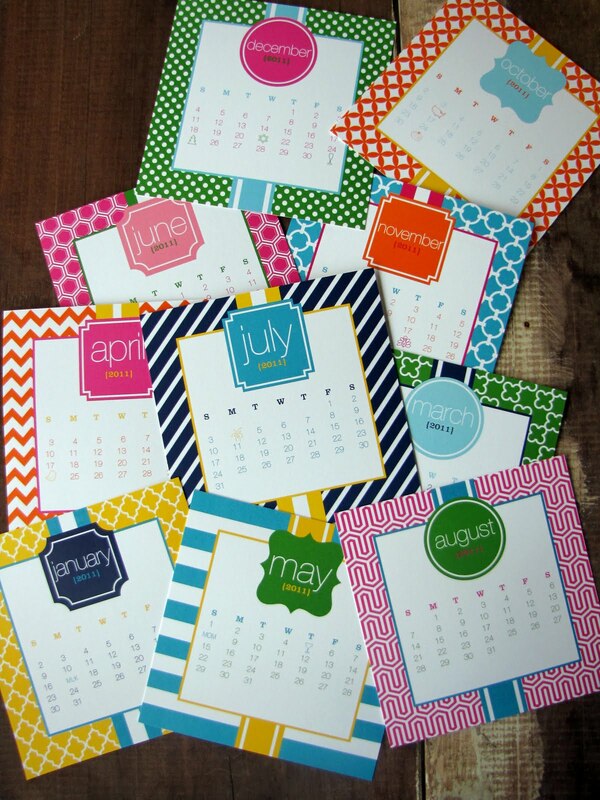 One side is for everyday with a super swanky monogram and pattern, perhaps, and the revers is holiday themed! It doesn't get more versatile than that! And these make such great gifts! $50 each but totally worth it when it can be used year round! And Christmas catch alls too! Christmas makes us SO happy!!! Had to also share how changing colors on Christmas cards and tweaking wording can TRULY make your pre-set card, seem completely 100% CUSTOM. Is this not adorable?! The colors changed to match the balls, and then adding "We hope you have a ball this Christmas!" is just too cute for words. So if you are wanting swank but don't want to spend the money for custom, your goal can still be achieved! YIPEE! Trunk show at Social Graces today at 5:30!!! Please come out and see us if you are in Nashville! There will be some great vendors and we can mix and mingle! We love meeting our customers, so please come on out! Christmas Cards 15% off Sale, Extended! For those of you who are not on our email list (click here to sign up! ), we wanted to let you know we have decided to extend our annual "early bird gets the worm" Christmas card sale through November 15th! Please email us if you are interested! We have done some of the cutest cards recently!!! And see below..colors and wording can be changed on the custom designs for no additional charge, so you can still make them your own! So neat! Hope you all had a wonderful Halloween! Next up, Thanksgiving!